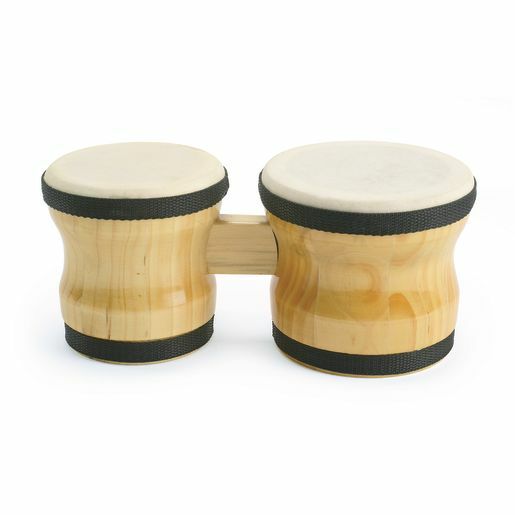 Get the big sound of real bongo drums in a junior-sized pair of percussion instruments. 5" and 4-3/8"Dia. Total width 9-3/4". 4-1/2"H.